Product prices and availability are accurate as of 2019-02-21 01:14:52 GMT and are subject to change. Any price and availability information displayed on http://www.amazon.co.uk/ at the time of purchase will apply to the purchase of this product. Never Miss A Moment of Your Dog's Day Ever wonder what your dog does all day? 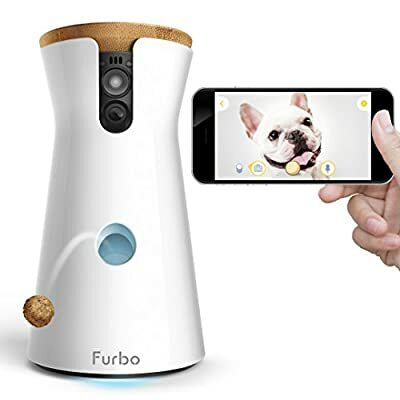 Furbo is a smart dog camera with a connected app that lets you see, talk, and toss treats to your dog when you're not home. 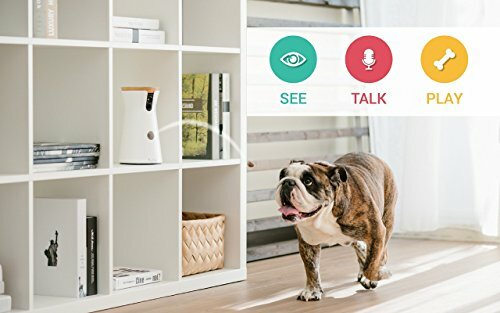 Know of Emergencies: Keep an eye on your dog from anywhere in clear Full HD. Furbo also sends you a notification on your phone when it detects barking. Capture the precious moments: Snap a photo or record a video with one click. Photos and videos will be saved automatically on your smartphone. One app. 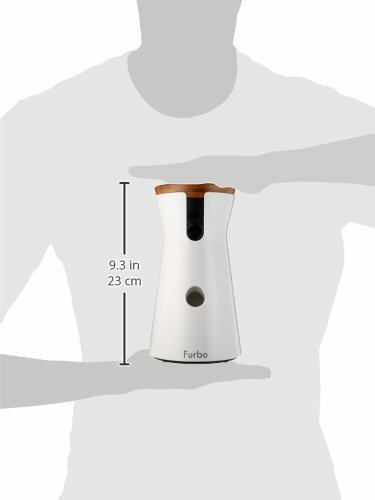 For any device: Furbo app works with any iOS, Android compatible device and Apple Watch. Checking in and having fun with your furbabies is easy, even when you're not home.